Anti-lock brakes were designed to help you control your car during adverse driving conditions. The ABS system keeps the wheels of your vehicle from locking up, preventing skids when the road is wet or icy. Prior to anti-lock brakes, a driver would have to pump the brakes manually to prevent this phenomenon. Anti-lock brakes sense when your vehicle is in a skid condition and pulse the brakes hundreds of times per minute, which is much quicker than any driver could react. Although ABS brakes also reduce the stopping distance of your vehicle, this is not the main purpose of having ABS brakes. 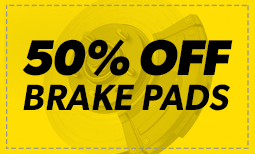 Get more information about anti-lock brakes at Meineke #564 in Philadelphia, PA. Brakes are the most important safety feature on your car. While people sometimes procrastinate on repairs, a problem with your brakes means that you should stop driving your car and get it checked right away. A crucial part of keeping your brakes in good working order is using the right brake fluid and replacing it on time. There are several types of fluid, including silicone brake fluid and mineral brake fluid. Failing to replace brake fluid on time can cause it to absorb a high percentage of water and compromise your brakes’ function. 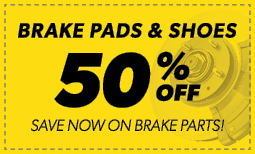 To get an estimate of brake fluid cost for your car, speak with technicians at Meineke #564 in Philadelphia, PA. Most ABS systems have multiple sensors built into the system to alert you when the brakes need service. A light on the dashboard might illuminate or you may feel that it takes more effort to press the pedal when braking. Another sign of ABS brake failure is that the brakes lock up while heavy braking. You may hear random clicking noises or feel your brakes trying to pump themselves. This is an indication that something is not working properly. For ABS brake service, bring your car to Meineke #564 in Philadelphia, PA for quick and convenient repairs and maintenance by our professional technicians. Sometimes a mechanical issue with your car pops up without warning, catching you completely off guard. With brakes, however, you often get a signal that trouble might be brewing. Have it checked out promptly by taking your car to Meineke #564 in Philadelphia, PA. If you ignore the problem, you may soon face serious issues with your car and more expenses when the problems that develop must be fixed. Even more important are the safety risks when you wait too long to have faulty brakes repaired. 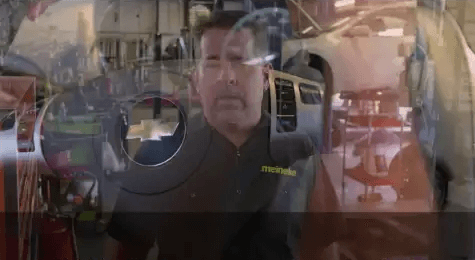 If you are accustomed to bringing your vehicle in to Meineke #564 in Philadelphia, PA, for routine inspection of your anti-lock brakes, you already know that this represents big cost savings. You might need a minor part or some brake fluid added to the system, and this kind of service can be done quickly and inexpensively. If, however, you have worn brake pads, replacement will be required and you should have that done as soon as possible. Brakes of any kind are designed to wear out, and brake pads are only one component that might need replacing. We will assess any brake problems you’re having and recommend the most appropriate solution. Although you can certainly learn how to recognize signs that your ABS brakes need repairs, any repairs should be provided by certified technicians who can ensure your brakes are in good operating condition. Before you come into our store, take a look at our coupons and pick up some savings. If you are ever in need of brake repairs, come to the professionals at Meineke #564 in Philadelphia, PA. Keep your passengers safe in every type of driving condition by maintaining your brakes.